Leeds City Council Children’s Services are looking to appoint a Service Delivery Manager and a number of Team Leaders. Details of each position can be found below, please indicate the position(s) you are applying for in your application. Leeds has an ambition – to be the best city in the UK and the best city for children and young people to grow up in – a child-friendly city. Having a strong, skilled workforce is key in helping us to achieve this ambition and of making a positive difference to the lives of children, young people and families living in Leeds. As a result of a number of internal promotions in our Children’s Social Work Service we are currently inviting applications for a range of social work roles. If you are interested in working for a local authority with low caseloads, good supervision and support, relationship-based practice and great career development we would like to hear from you. As Principal Social Worker in Leeds you will drive our ambition to make Leeds the best place to practice and experience children and families social work. You will be an experienced compassionate Practice Leader keen to work with the wider children’s partnership to enhance and further embed our existing culture of restorative practice and commitment to family led solutions. Although our services for children and families have recently been rated as ‘outstanding’ we have more to do, as Principle Social Worker you will be key to the next leg of our journey to become the best city in the UK for children to grow up in – a Child Friendly city. Closing date for applications is Tuesday 19th February. An assessment centre/interview day is likely to be held for successful candidates on Wednesday 10th April. As a Children’s Service Delivery Manager you will be responsible for service delivery in the East of Leeds. East Leeds is rich with diversity where services work closely together to ensure children are safeguarded. The role of a Service Delivery Manager is pivotal in ensuring relational practice and that the child and family are key to decision making in safeguarding children and promote their welfare. This role is unique in that you will be the interface between senior leaders, team managers and practitioners and offers an exciting opportunity to develop leadership skills. You will supervise several social work team managers and play a key role in decision making to ensure the needs of children are met and that the right conversations are held with the right people, at the right time. You will also be a member of regular decision making forums that promote effective child and family centred plans. Closing date for applications 18th February 2019. As a Team Manager in Leeds you will be part of a supportive management group with clear guidance, and development opportunities that support you in your role and progression. You will be part of a Restorative Practice Action Learning Set with your peers to ensure ongoing support and development. Leeds also invests heavily in training opportunities such as Master Classes on relevant topics and current themes as well as opportunities to get involved in development within the service as a whole. All managers have the opportunity to get together at the Deputy Directors Development Sessions which enables managers on all levels to learn and grow together. You will benefit from a stable work force in an authority where restorative practice and approaches are well embedded in the fabric of our culture. “The leadership team has a clear and ambitious vision for what it wishes to achieve for the children of Leeds. 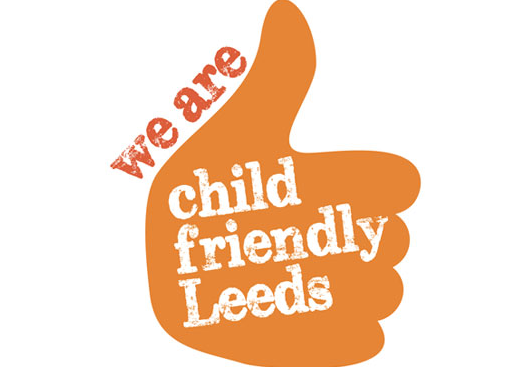 Substantial progress has been made in delivering this vision to make Leeds a child-friendly city. Leaders are committed to continuous improvement, invite feedback and engage in innovations to further enhance services. As a Team Manager in RES, you will be able to lead on embedding the Leeds Practice Model underpinned by restorative practice, which is the bedrock of Leeds Children and Families Services ambition to universally recognise the utility of families themselves and the intrinsic value of highly collaborative approaches. The Leeds Practice Model encompasses Rethink Formulation, Leeds Practice Principles and Outcome Focused Supervision. Restorative Early Support (RES) arrangements bring together social work and family support staff locally, with the aim of providing a more flexible, responsive, multi- disciplinary approach to working with families within their own communities. RES arrangements are already established in each of the high needs clusters in the city. Feedback from evaluation is promising – with very positive feedback from local schools and the cluster about how the teams are supporting improved relationships, practice and joint working, speeding up access to advice and support for families. As a Team Manager within CHAD you will be responsible for one of the child health and disability social work team and part of a vibrant management group comprising of three area CHAD teams based in South, East & West North West of the City, Regional Specialist Team based at the Leeds General Infirmary and the Childrens Occupational Therapy Service. You will be supported by a Service Delivery Manager and Head of Service with clear links and relationships with all parts of the wider service. This management group is very enthusiastic and supportive of one another and they are engaged in a number of wider working groups throughout the service and have been trail blazers regarding ensuring children have a voice. You will have the privilege of working with some of the most vulnerable children and families in the City and as Ofsted stated you will be keeping the child at the centre of everything you do. Within the RST you will work closely with health colleagues and work not just with our children in Leeds but with children from the wider region. You will be an essential part of the regular Multi-Disciplinary Team meetings; although there are specialisms within this e.g. oncology, cystic fibrosis etc you will be the expert in providing social work advice and support for these children and families.